Over the course of my 34 years, I’ve been accused of being both quick and dirty, occasionally at the same time. While these characterizations are not always complimentary , it is my vow to Fill The Steins Nation to make our periodic Quick & Dirty feature a positive experience for our readership. Today, we debut the Quick & Dirty with a look at Patriot Place, the multifaceted, CityPlace-style complex surrounding Gillette Stadium, which is where the University of Maine football team takes on UMass this Saturday at 2pm ET. For those of you loyal Black Bear football supporters heading down to Foxboro for this weekend’s college clash, Fill The Steins is pleased to provide you with a Quick & Dirty, one-stop shop for all the other cool stuff to take in before, during, and after the big game. The big day. The centerpiece of your trip. Gameday. Where else would you be other than Gillette Stadium? But, fear not, there’s more than just the game to enjoy on gameday. Pregame Tailgate – Because we live in America, football gameday means one thing…tailgating! But beware, the unprepared tailgater could get left out in the cold, sober air of the Gillette parking lot. To ensure you’re able to fill your steins to their fullest, be sure to park in either the North or South General Parking Lots. Stein-filling begins 3 hours before kickoff, so plan accordingly and be lined up to enter the lot at 11:00 sharp! Full parking map available at http://www.gillettestadium.com/umass-football-parking. UMaine vs. UMass – UMaine? UMass? You bet! While it’s too late to get in on a UMaine away game package through the university, there’s still time to get general admission tickets for the 2:00 kickoff here: http://www.umassathletics.com/tickets/umas-ticket-prices.html#footbl. It is our formal recommendation to hit the hay early on Saturday night. Why do something like that, you ask? The answer is simple…so you can be ready for a full day of stein-filling on Sunday! After all, Sunday rhymes with Funday for a reason. Patriots Viewing Parties – What better way to celebrate a UMaine victory or drown the sorrows associated with a UMaine loss than by filling your steins to the NFL season opener between the Pats and the Bills? 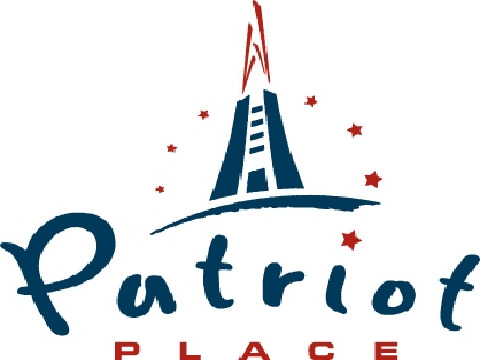 While the game takes place in Buffalo, no less than six, that’s right…SIX, bars and restaurants at Patriot Place will be having viewing parties in honor of Week 1. This is also a great chance to “stand and drink a toast” to former Black Bear standout and Maine native Matt Mulligan, as he makes his Patriots debut. The poor guy had to play for the Jets for three seasons, so he can definitely use all the support he can get. Full details on where to catch the 1:00 kickoff are available at http://patriot-place.com/tags/Game%20Viewing#.UifnxajD_IU. So, there you have it…a Quick & Dirty look at the coolest stuff to do at Patriot Place and proof that you needn’t travel into Boston to have a good time in Massachusetts. If you’re traveling to Foxboro for Saturday’s game, be sure to check out some or all of these events and leave us a comment with your feedback. Most importantly, have fun, travel safe, and Fill The Steins to dear old Maine!! !